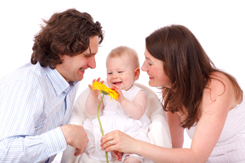 Family counseling is one of the therapeutic services offered through our practice. Family therapy focuses on relationships within the family, and works with the family as a whole unit to enhance and improve the relationships between members. Families to reach an understanding and put words to their experiences and feelings. Family members to learn how families function in general and, in particular, how their own functions. Help to reduce the focus on one individual and to focus more on the family as a whole. Assistance in identifying conflicts and anxieties. Help for the family in developing strategies to resolve them. Strengthening all family members so that they can work on their problems together. Help reduce conflict and communicate better. If you and your family is interested in therapy, please contact us for an appointment.